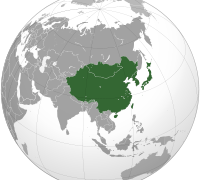 The rapid expansion of investment in East Asia in the post war period was partly the result of the presence of American troops from the mid 1940’s until the present day. The troops stationed in Japan, South Korea and The Philippines as elsewhere allowed these nations to concentrate on economic growth rather than defense. When China under the late Deng Xiaoping decided that economic growth was good in the late 1970’s and early 1980’s the threat of military confrontation receded. The rapprochement between East and West allowed spectacular growth in the region. China went from an economic backwater to the second largest economy in the world. China passed first Germany and then in 2013 the United States to become the world’s largest trading nation. Exports rose 7.9% and imports 7.3%. These increases pushed the total trade registered above $4 trillion USD (United States Dollar) for the first time ever. China had already become the world’s largest exporter of goods in 2009. The country’s trade surplus rose 12.8% in 2013 to almost 260 billion USD. This occurred despite the recent domestic slowdown in economic growth in China. China already spends more on its military than any country in the world except the United States. As Europe and the United States cuts back on defense spending China is gearing up for a major surge in outlays. In 2013 it is estimated that China spent $139.2 billion USD. This year it is set to rise to $148 billion USD. By next year China will spend more on defense than Britain, France and Germany combined. In 10 years China will increase military spending to more than all of Western Europe combined. Outlays on defense for China has increased 1/3 since 2009. The United States still spends more. A total of $664.3 billion USD alone in 2012. However this years projections have a forecast of $574.9 billion USD and is due to drop even further in the next few years. Also American troop strength is scheduled to be slashed as well. It will become increasingly difficult for the United States to fulfill its vast commitments made to numerous countries around the globe. In 2011 China already had stealth radar evading capabilities on its aircraft. In 2012 came the first aircraft carrier. In comparison the American navy still has 10 carriers. Both the newly capable aircraft and the carrier are Chinese built and will permit China to project power beyond its traditional territorial waters. In addition, China does not have a vast network of bases and waterways to manage and defend. These developments along with the rising economic and financial clout have given the Chinese government new flexibility in pushing forth Chinese geopolitical aims. These would include disputes with Vietnam,Malaysia and The Philippines in the South China Sea and the ongoing differences with Taiwan. 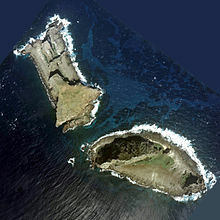 More recently, the issue of the Senkaku islands (Diaoyu in China) in the East China Sea has heightened tensions with Japan. 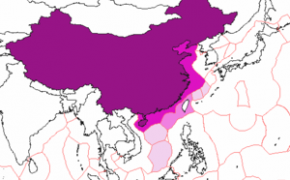 Up to this point China has settled its territorial differences peacefully in many cases. Although reluctant to enter into international arbitration the Chinese seem willing to settle disputes in a bilateral method. Chinese leaders in the past, like Deng Xiaoping pushed conflicting territorial claims to the future. They wisely determined that such matters would interfere with China’s rapid growth and modernization efforts. There are two main territorial disputes that China had with neighbors that have led to shooting wars. The examples are the conflict with the former Soviet Union in the late 1960’s and India in the early 1960’s. If China decides to abandon its present policy two consequences are likely to result. 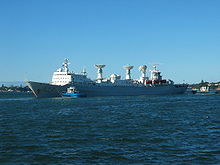 One it will be a signal to neighbors that China is going to use force to settle territorial claims. This will force nervous neighbors that outside support is necessary. This would be primarily the United States. The other development would be cooperation of nations in the region in opposition to Chinese aggression. A policy of containment. The American president has reiterated that the United States will honor its treaty obligations to Japan that were made in 1951. It has also been stated that this will include any areas under Japanese administration. That would imply the Senekaku islands. 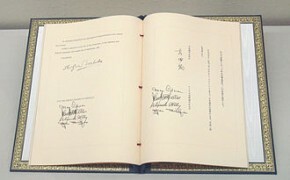 Why a treaty signed in 1951 with Japan takes precedence over a treaty signed in 1994 with Ukraine puzzles international observers and analysts. The United States along with Great Britain and Russia agreed in a treaty to guarantee the territorial integrity of the Ukraine in exchange for the nuclear weapons and other armaments that were left to it upon the dissolution of the Soviet Union. Perhaps it is because the commitment to Japan is easier to enforce? The American navy is no doubt, preeminent in the region. There is not an estimated 40 to 50 thousand troops on a border ready to invade. The United States is also committed to the defense of a number of other countries in the region. Some former members of the now defunct SEATO (Southeast Asia Treaty Organization) feel that a new military cooperation in the region may become necessary. SEATO was an American military guarantee to a number of nations in Southeast Asia. ASEAN (Association of Southeast Asian Nations) is not a military alliance and includes China in some of its activities. The United States is committed to the defense of Australia and New Zealand according to a treaty signed in 1951 (ANZUS). The United States also has a special relationship with the Philippines. The United States just signed a 10 year Enhanced Defense Cooperation Agreement with the aforementioned country but does not specifically mention the territorial disputes in the South China Sea. The United States also still has thousand of troops in the Korean peninsula. They are there to maintain the peace between the North and South Korea. They could not actually stop a determined attack from the North. It is again, more of a situation of being a trip wire. The final obligation and probably one of the most dangerous for the United States concerns the present situation with Taiwan, also known as the Republic of China. 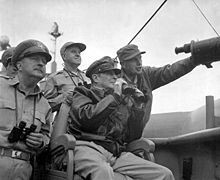 The United States in the past has committed itself to help the Taiwanese to defend their island from a mainland attack. As the Chinese navy continues to modernize and expand in size, it brings into question of whether the United States could prevent a Chinese invasion. The past sales of advanced weaponry to this island state has always been controversial to the PRC (Peoples Republic of China). The PRC considers Taiwan to be an integral part of mainland China. The disputes between China and its geographical neighbors in the South China Sea concern Vietnam, Malaysia, Brunei, Philippines, and Indonesia. Much of the dispute concerns the maritime boundaries between various nations. This begins with the claims along the Vietnamese coast between Vietnam, China and Taiwan. It also extends to the maritime boundary off the coast of The Philippines concerning the aforementioned. Islands in the northern reaches of the South China Sea including the Paracel Islands are part of the dispute among these three nations. Another area of contention is the maritime boundary north of Borneo between China, Vietnam, Taiwan, Malaysia, The Philippines, and Brunei. The waters north of the Natuna Islands are in dispute between China, Indonesia and Taiwan. Islands in the southern reaches of the South China Sea, including the Spratly Islands are claimed by China, Taiwan, Brunei, The Philippines, Malaysia and Vietnam. The nine-dash area claimed by China which covers most of the South China Sea and overlaps the EEZ (Economic Economic Zones) of The Philippines, Vietnam, Malaysia and Brunei have become a major source of contention. If China decides to use military means to begin to settle these various conflicting territorial claims it will send an economic chill to the entire region for investment and business. It does not help that these waters much in dispute, are some of the busiest sea lanes in the world. That they may contain energy and mineral resources as well only complicates the situation even further. Disputes over fishing rights have already raised tensions in the area. China has already made claims of sea and air security rights over an area that goes far beyond the traditional claims that most nations would attempt in similar circumstances. What has maintained these vital trade routes since the end of the Second World War was mostly the American navy as the position of the British declined throughout the Cold War period. What the United States is about to find out here in Asia is that perceived weakness and failures elsewhere in the world have consequences. Like an alpha male in a weakened state, attacks will soon come from all sides. The American hegemonic position in East Asia will most likely need to be defended more aggressively in the future. The United States with its present and possible new allies, will need help to try to contain a more militarily aggressive China. Cold War II in Asia will arrive, despite the best efforts of some to prevent it. 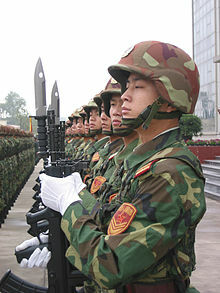 The military of China is under the control of the Communist Party not the government of China. Rattling sabers and making military moves may well be the last attempt of the Communist Party in China to maintain legitimacy and relevancy. The United States will find itself, much like the position of the British in this area in the middle of the last century. It is where military resources become so stretched that they are no longer credible and previous commitments finally can no longer be honored. There then will be massive capital flight, as many international investors decide that some areas of East Asia have become too dangerous and problematic to pursue normal business and entrepreneurial pursuits. Increasingly, China will be the power broker in the area. To do business in this part of Asia, an investor must recognize this, as the influence and ability of China in all arenas, continues to grow.